Plastic Sheeting has dozens of uses around the home, garden and garage. Use it to cover and protect furniture, appliances and equipment; to make storm windows and doors; to protect building materials, machinery or other things stored outdoors; as a boat cover, as a moisture barrier; to make temporary enclosures; to cover plants and shrubs, etc. 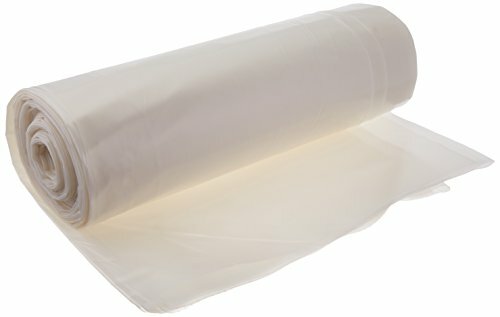 Frost King has a large assortment of clear and black polyethylene sheeting, ranging in size from rolls of 20 feet to 100 feet, in weights from 2.7 mil to 6 mil. No matter what weight or length you need, chances are we have the perfect drop cloth or plastic sheeting for your do-it-yourself home improvement project. Frost King has clear polyethylene drop cloths in 9′ x 12′ and 10′ x 20′ in weights from .25 mil to 4 mil. We also have super strength high density drop cloths in .3 and .47 mil.